Bouquets of red roses, candlelit dinners and boxes of chocolates: Valentine’s Day is coming! We made a selection of designs for a home full of love! Mysa is the new collection of lounge seatings designed by Michael Schmidt for Bross: a name meaning ‘cuddle’ in Swedish that enhances the vocation of the product, intended to serve as a lively and comfortable support in hospitality environments, in community contexts or in the living areas of private home. 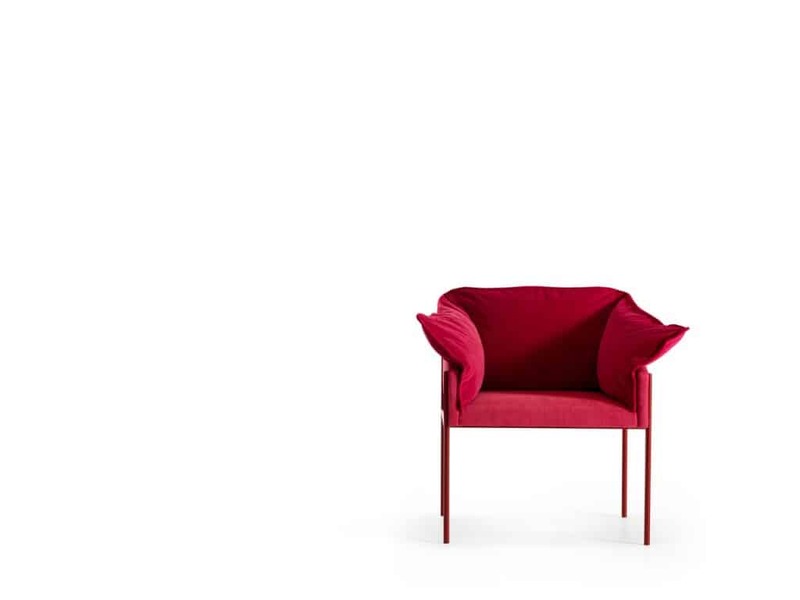 The shape of Mysa recalls the Scandinavian design, its essential forms but absolutely comfortable lines. Romantic and classic, it furnishes with style interior and exterior spaces. This furniture piece creates glamorous corner at home, it is resistant and perfect for outdoor and indoor. 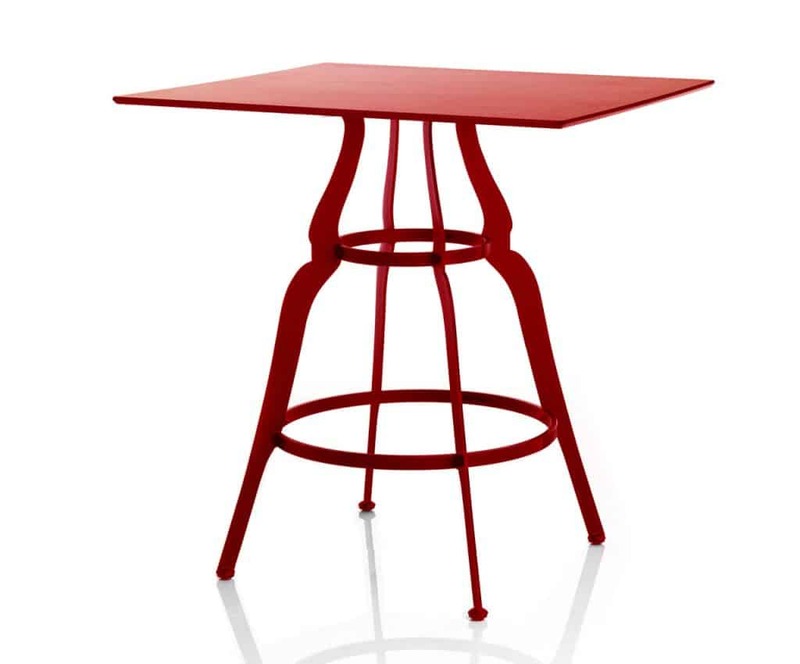 Steel frame painted with polyurethane powders is available with three or four legs to support stratified colored round and square tops. Marcantonio’s best seller, the Mouse Lamp, is transformed into a sweet and romantic message for Valentine’s Day. 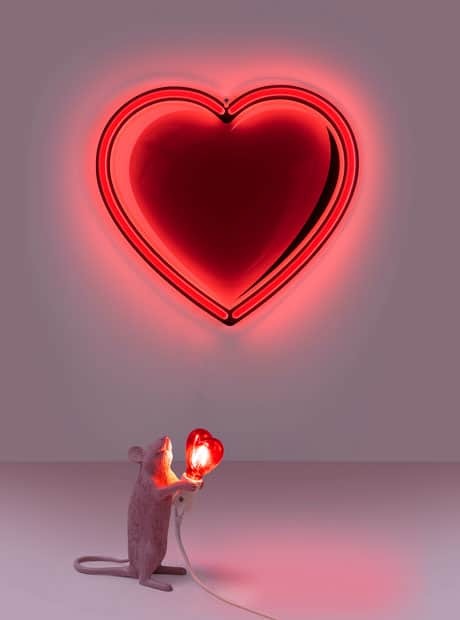 The small resin rodent with an unusual, pale pink colour, sitting upright on its hind legs, holds a red LED heart-shaped bulb. Like in a fairy tale, the mouse becomes a symbol of the greatest and most beautiful emotion, perfect as a gift for a loved one. 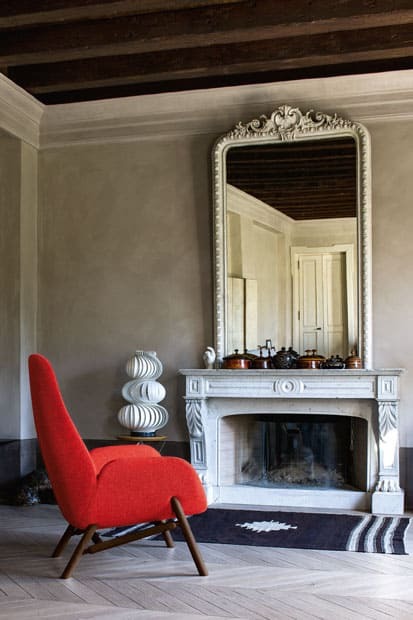 Carmen chair is designed by Angeletti Ruzza. Its wooden frame is covered with polyurethane foam in different densities and polyester fiber lining. Back cushion and armrests are made in sterilized feathers, while seat cushion is in polyurethane foam and polyester fiber lining. Chair has painted steel legs.